Publication - Welcome to Yingrui Zhang's Site! 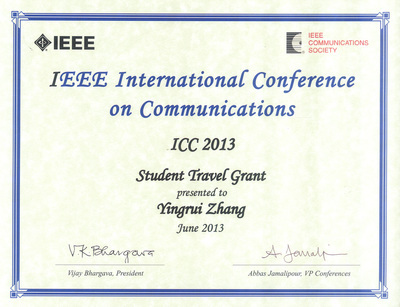 1) Zhang, Y., Huang, A., Wang, D., et al., “To Enable Stable Medical Image and Video Transmission in Mobile Healthcare Services: A Best-fit Carrier Dial-up (BCD) Algorithm for GBR-Oriented Applications in LTE-A Networks”, Proceedings of IEEE International Conference on Communications 2013 (ICC 2013), Budapest, Hungary. 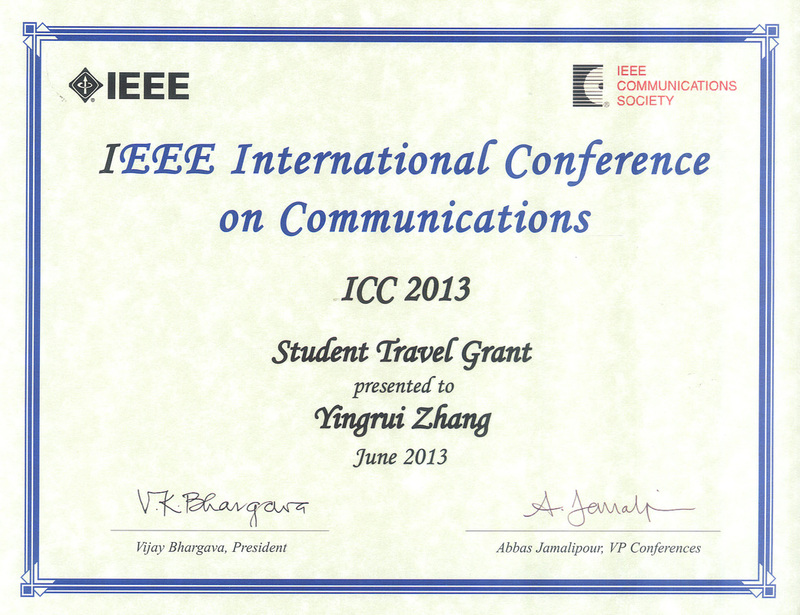 Won Student Travel Grant Award. 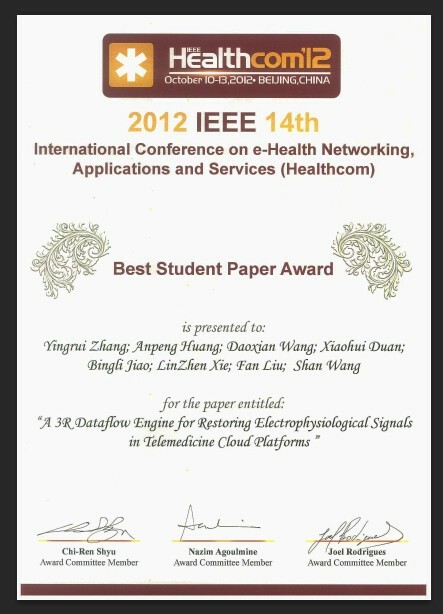 2) Zhang, Y., Huang, A., Wang, D., et al., “A 3R Dataflow Engine for Restoring Electrophysiological Signals in Telemedicine Cloud Platforms”, Proceedings of 2012 IEEE 14th International Conference on e-Health Networking, Applications and Services (Healthcom 2012), Beijing, China. 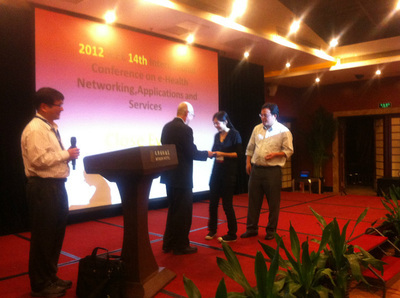 Won Best Student Paper Award. 3) Huang, A., Chen, C., Bian, K., Duan, X., Chen, M., Gao, H., Meng, C., Zheng, Q., Zhang, Y., Jiao, B., Xie, L. “We-Care: An Intelligent Telecardiology System to Enable mHealth Applications”, IEEE Transactions on Information Technology in BioMedicine(ITB). 4) Duan, X., Jiao, B., Huang, A., Zhang, Y., authorized patent, “A portable ECG Measuring Instrument and Measuring System”, Publication Number: CN202446077U, Publication Date: 09/26/2012. 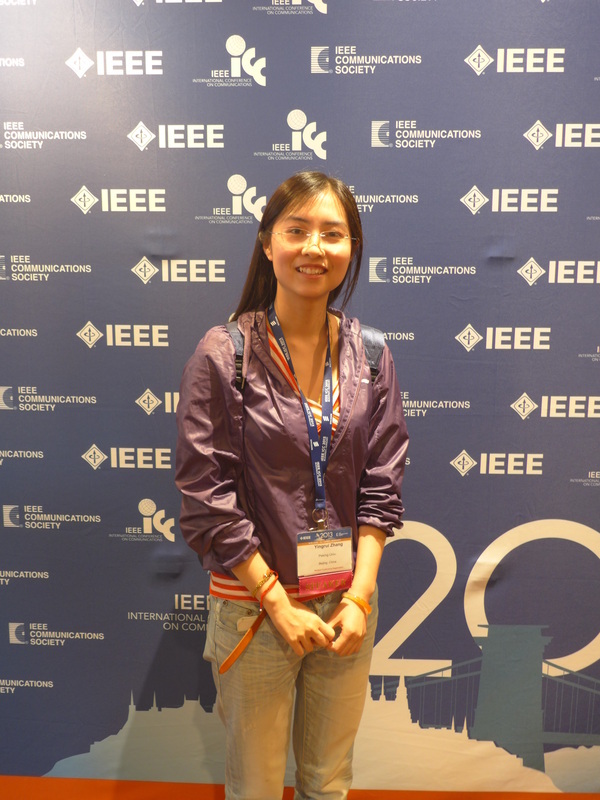 5) Zhang, Y., Huang, A., Wang, D., et al., “3R Dataflow Engine to Augment Reality of ''Virtual Clinical Perception'' in CARE-NET for Online Professional Healthcare”, submitted to IEEE Transactions on Emerging Topics in Computing(TETC).